# NEW! Contact Dharma Yoga for the spring workshops in Japan (Mar-May 2019). # Interview with Kannan, at VEGETIME, the online media of Vege Project Japan (a certified NPO). # A free opportunity to learn and live traditional yoga, Home Stay with Kannan, in Coimbatore, India. 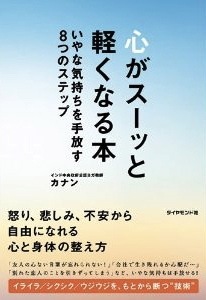 # Kannan's book "KOKORO GA SUTTO KARUKU NARU HON (available in Japanese, on how to let go of thoughts & emotions)" was published on Feb-16, 2013 from Diamond, Inc.
"KOKORO GA SUTTO KARUKU NARU HON" is in stores now. Copyright (C) Yoga with Kannan. Web design by Dot Com Infoway.